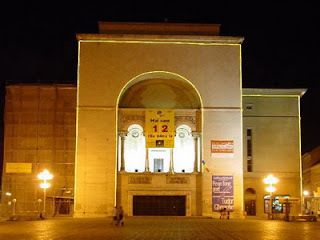 Timisoara city is situated in West part of Banatului Field between the rivers Timis and Bega, being one of the most important city of the country. The city is a harmonious combination between historical centre and the development which had been periodical in arround of this centre. In this way, the oldest buildings had made since beginning of the XVII. Century, in the periode when in Europe enters the Baroque style. Was supposed that the city had founded much earlier of this building’s lifting. The testimony in this sense give the Huniade castle, which still keeping numerous documentations from XIII. Century. 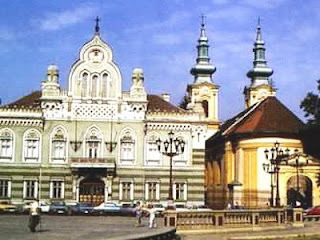 Due to its strategical position (connection point between Austro-Hungarian Empire and East Europe) Timisoara knew a fast development being builded in arround of the city a fortress which was the wish of the all sultans of Turkish Empire (suited to the writings of the Turkish chronicler Mustafa Seldzade). The city’s conquest by the Turks (1551) made to the ethnical change of the city and also to the commerce’s development. Since 1716 the city is under Austrian-Hungarian empire’s rule. The German colonies, which peopled more and more the city, had a big role in Timisoara’s development. Between 1728 and 1761 were created the first navigation canals on the rivers Bega and Timis, which lead to river commerce’s development. Also in this periode was changed the fortify plan of the city, increasing the city’s surface. The city-fortress was organized in arround of 2 squares: Piata Paradei (today Piata Libertatii) and Piata Iezuitilor (Piata Sfantul Gheorghe). Later in north of the city was builded the Piata Unirii square, where were lifted the Cathedral, the Episcopal Palace and Governor’s Palace. At the beginning of XIX. century had part the city’s industralization which lead to apperance of : public lighting with gaslamp, the city’s connectation to European railways network, public transport with horse-drawn trams, the telegraph’s and the telephone’s appearance, replace of wood bridges with stell bridges, later (1884) the city’s electrical lighting (the first city from Europe) and apparition of the electric tram (1899). 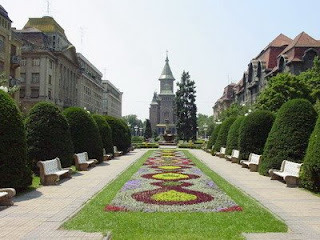 Between 1890 and 1910 the city’s fortress were demolished being replaced by parks, Timisoara being named as the “Parks’ City” or the “Flowers’ City”. Between the 2 world wars, the city knew a magnificent development through building of many cultural institutions (Metropolitan Cathedral and National Theatre). After the Second World War the city’s industralization grew up: new districts, cultural and education institutions (schools, museums, theatres, concert halls) and also the entertainment possibilities’ growth (terraces, restaurants, bars, discos, night clubs). 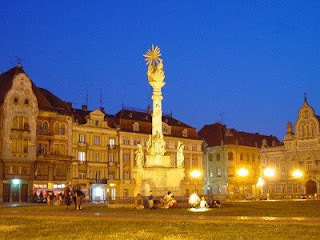 Today Timisoara fills the all conditions to be named an European city.